When people learn that I used to work on the series Phua Chu Kang Pte Ltd, I'm sometimes asked whether I'm friends with Gurmit Singh. I don't want to say no because people may think we hate each other. I also don't want to say yes because people may think we hang out together regularly in KTV bars with hookers and booze. The boring reality is somewhere in the middle. We won't avert our eyes if we happen to see each other in Geylang, but we won't be inviting each other to our kids' bar mitzvahs either (mainly because we're not Jewish). I have known Gurmit since 1994, when both of us started our TV careers on the variety show Live On 5. The irony is that I've never felt closer to the host-turned-actor in those 15 years than when I started following him on Twitter a few months ago. Now I know when he's taking aikido lessons, when he's doing Singapore Idol and when he's going to the gym because he doesn't want to "rot". So I'm no longer just his ex-colleague, but also his online stalker - along with 800 others. That was how I first found out a PCK movie is in the works, although between you and me, a PCK movie has been in the works since the '90s. 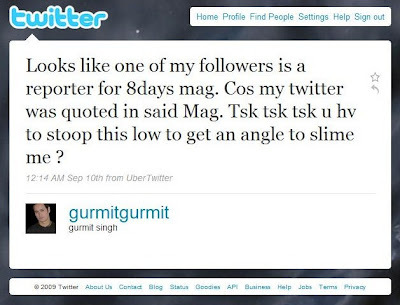 Then on 10 Sep at 12.14am, Gurmit tweeted this: "Looks like one of my followers is a reporter for 8 Days mag. Cos my twitter was quoted in said mag. Tsk tsk tsk, u hv to stoop this low to get an angle to slime me?" What 8 Days reporter? How did he or she "slime" Gurmit? I desperately wanted to know. Two minutes later, he tweeted again: "To that 8 Days reporter, do what u hv to do to slime me. If u can sleep at night, then there is nothing I can do. Your call." Naturally, I had to rush out and buy a copy of 8 Days. What brilliant cross-promotion - both Gurmit and the magazine being MediaCorp products. 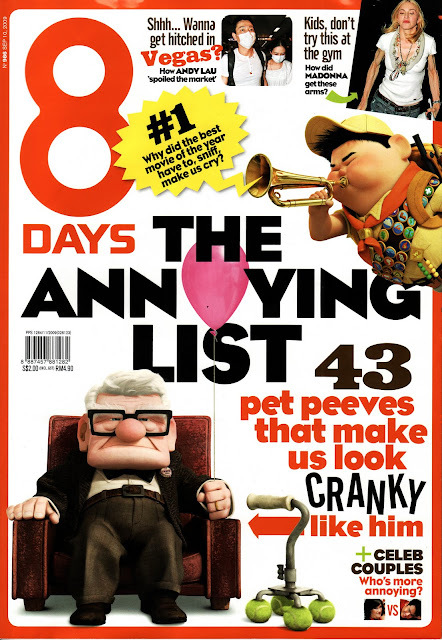 When I saw the cover story titled "The Annoying List", I said to myself in my best ebonics accent: "Oh no, they didn't!" And actually, they didn't. Gurmit wasn't on The Annoying List. I kept flipping until I found the offending article (I think) on the "Boos And Bravos" page by Jasmine Teo and Douglas Tseng. I assume one of them wrote: "Boo to Gurmit Singh's hosting skills on last week's Singapore Idol. 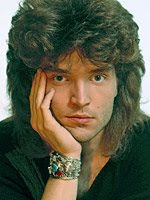 The good news is, he has trimmed his '80s' Richard Marx mullet. The bad news is, well, him. "He tried too hard to be both a comedian and an emcee, and fell flat on both fronts, ending up unnatural, irritating, unamusing, and even baffling sometimes (please don't ad-lib)." Ouch. Harsh. Maybe not so brilliant cross-promo after all. 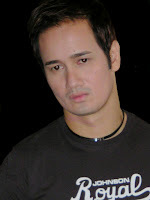 No wonder Gurmit is upset. However, I'm not sure which was the "twitter" that Gurmit claimed was quoted in the mag. The closest I can find is 24 Aug tweet: "Going to Mahogany salon and cut hair short for Idol. Five months of hair length say bye bye." No mention of Richard Marx anywhere. Hell hath no fury like a mullet scorned. Now I'm so intrigued I may just overcome my fear of rejection and "friend" Gurmit on Facebook - even though he already has over 1,200 "friends". If he clicks "Ignore", well, we'll always have Twitter. I will be right here waiting.